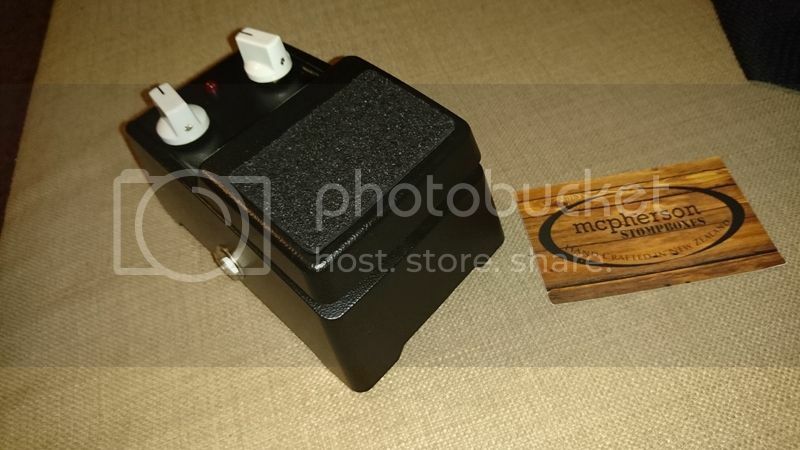 So, a while back my brother sent me a pedal by a small New Zealand builder called mcpherson. I love that pedal and it's always on my board now. He sent me another, and I have no idea what it is. I've just got home late and can't plug it in either. It's in a really weird enclosure that I don't recognise. Anyone ever seen this? I'd assumed it was something repurposed. It might be a Red Llama. I think my brother mentioned one before and I think this guy does custom/one-off stuff occasionally. If that chip says CD4049UBE, it's a lama. Any thoughts on the enclosure? Just had a play. It's a lot of fun, but is a little different than I expected. With gain up high and volume low, the gain knob doesn't give that much gain and it sounds a little dull. It seems to only really come to life once the volume is up a bit, then it really comes good. I think it's more like a dirty boost than a distortion, where you dial in the volume you want then add dirt, rather than trying to find the tone you want then balancing it with the volume like in a lot of other pedals. It feels like the volume knob is a treble knob too. With the gain down and volume up it gives a very trebly boost. With both knobs up a bit it's brilliant. Nice and crumbly and trebly, never really saturated but sounds great and valvey. Brilliant Rory Gallagher tones, kind of spiky and trebly. I suspect it would sound better with a cranked amp. With my Matamp configured to only one output valve running in triode mode it still got really loud, too loud for playing in a one bedroom flat! Would love to get a chance to push hard with it. It doesn't seem to be an enclosure that's generally available e.g. via Alibaba. 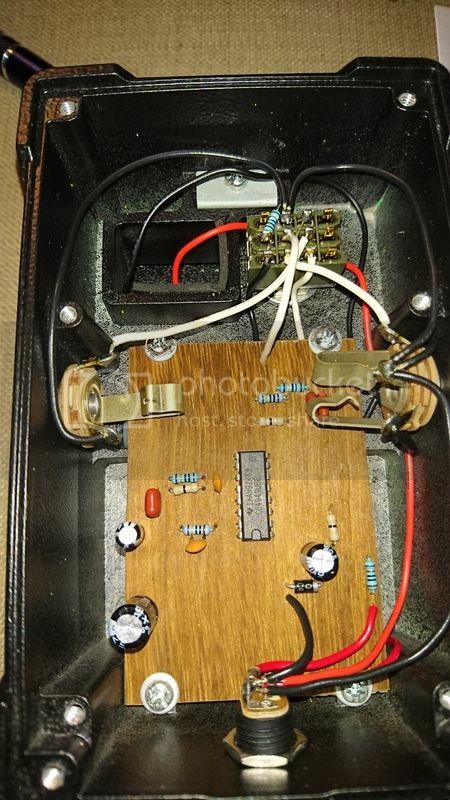 The Red Llama circuit is designed for a maximum gain of x11 so you might not find that massive; it seems to be designed as a boost/overdriver rather than a fuzz. It only uses 2 of the 6 inverter/amplifiers in the chip. A trick sometimes used is to put devices in parallel to reduce noise; I wonder whether anyone has tried a version with three inverters in parallel in each stage. 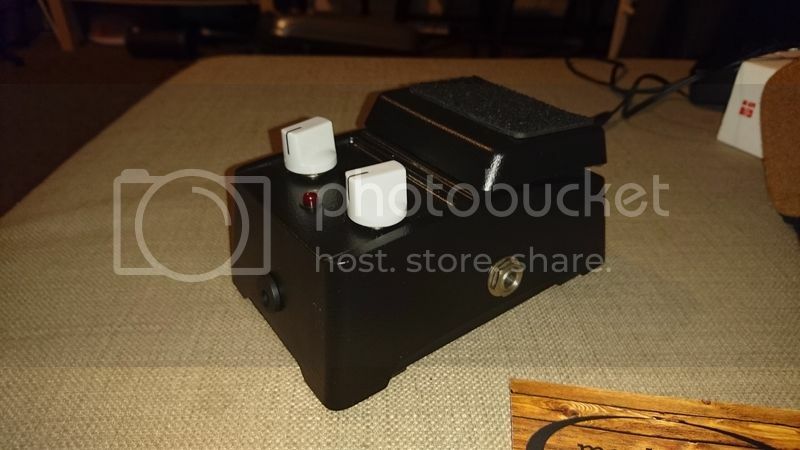 Well, I really don't need another dirt/drive pedal on my board (currently have mcpherson Red Boost into MBM Dreambox), particularly given the quality of overdrive I can get from my amp, but this is making me reconsider. There's an awful lot of definition, even when I have the overdrive on on my amp with as much gain as it can give.